The Rev. Dr. LEAH D. SCHADE is the Assistant Professor of Preaching and Worship at Lexington Theological Seminary in Lexington, Kentucky. An ordained pastor in the Evangelical Lutheran Church in America for 18 years, Leah earned both her MDiv and PhD degrees from the Lutheran Theological Seminary at Philadelphia (now United Lutheran Seminary). Her forthcoming book, Preaching in the Purple Zone: Ministry in the Red/Blue Divide, will be published by Rowman & Littlefield in 2019. The book explores how clergy and churches can address controversial justice issues using nonpartisan, biblically-centered approaches and deliberative dialogue. Her 2015 book Creation-Crisis Preaching: Ecology, Theology, and the Pulpit (Chalice Press) is available at www.creationcrisispreaching.com. She is also the EcoPreacher blogger for Patheos: http://www.patheos.com/blogs/ecopreacher/. The Bishop MARVIN FRANK THOMAS SR. holds a Bachelor of Arts degree in history with a minor in Sociology from Stillman college in Tuscaloosa, Alabama. He also earned a Master of Divinity degree from The Phillips School of theology at the Interdenominational Theological Center and a Doctor of Ministry degree from United Theological Seminary in Dayton, Ohio. Presently, Bishop Thomas serves as the presiding Bishop of the Second Episcopal District of the Christian Methodist Episcopal Church, which includes the Kentucky and Ohio-Central Indiana regions. He also serves as the chair of the denomination’s Department of Lay Ministry and the action pastor of the Metropolitan Christian Methodist Episcopal Church in Cincinnati. PAUL PRATHER has been a rural pastor in Montgomery County, Ky., for more than 35 years. He’s also been a contributing columnist at the Lexington Herald-Leader since 2002 and is the author of four books. From 1988 to 1997, he was a Herald-Leader staff writer; during most of that time he covered the religion beat, where he crossed paths with everyone from Billy Graham to the Dalai Lama to Naomi Judd. He’s won several awards and fellowships for his writing, and his works have been reprinted in publications around the country, from the Chicago Tribune to Catholic Digest to college textbooks. A native Kentuckian and a three-time graduate of the University of Kentucky, he’s also taught English and journalism as an adjunct faculty member at UK and at Morehead State University. He lives in Mount Sterling with his wife, Liz, and spends as much time as possible with his grandkids. “Knocking on the Doors Within a House-Divided” by RON LUCKEY. “The Heart of Ecumenical Dialogue: Lessons from the World Council of Churches” by CAITLIN SIMPSON. by PAM MCMICHAEL, TAYNA FOGLE, MEGAN HOUSTON AND DONALD GILLETT. “Talking Together: Getting Beyond Polarization Through Civil Dialogue” by KAY COLLIER MCLAUGHLIN. “Reclaiming Jesus” (2019 Annual Assembly theme) by AMANDA GROVES. This year’s registration fee is $140 for the two-day event. For one-day participation, the cost is $125 on Thursday, October 26th (includes lunch and banquet) and $95 for Friday, October 26th (no meals). The registration deadline is October 7th, 2018. Cancellation requests must be received by this date to receive a full refund. ACCOMMODATIONS are available at the Country Inn & Suites, 1241 Kentucky Mills Drive, Louisville, KY. The room rate is $99.99 + tax per night. Reservations can be made by calling (502) 261-9434. To receive the group rate, identify yourself as a Kentucky Council of Churches participant. The room rate includes a free breakfast. For more information, log on to their website, here. The Rev. 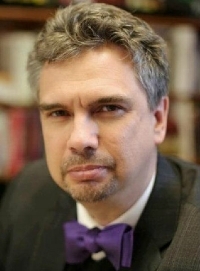 Dr. Miguel de la Torre- Professor of Social Ethics and Latinx Studies at the Iliff School of Theology in Denver, Colorado. He has served as the elected 2012 President of the Society of Christian Ethics and currently serves as the Executive Officer for the Society of Race, Ethnicity and Religion. The Rev. 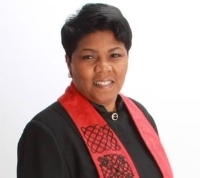 Traci Blackmon is the Acting Executive Minister of Justice & Witness Ministries of The United Church of Christ and Senior Pastor of Christ the King United Church of Christ in Florissant, MO. She earned a Bachelor of Science degree in Nursing from Birmingham – Southern College (1985), and a Master of Divinity degree from Eden Theological Seminary (2009). A workshop discussing our 2018 theme “A House Divided” will be led by representatives from the Kentucky Rural-Urban Exchange. They will share some of the divides they witness in our society today and ways to work to bridge those divides. “The Effects of Economic Privilege on Health” will be led by Tom Walton, retired director of Population Health at KentuckyOne Health. To register for the 2017 Annual Assembly, call (859) 269-7715. The items purchased include 100% natural sugar cane bio-degradable/compostable plates, biodegradable/compostable heavyweight disposable forks, spoons, knives, 100% compostable plant-based clear cups and recycled paper cups for coffee and tea. This year, we have two options for accommodations. Hotel: Comfort Suites East, 1850 Resource Way, Louisville, KY. The room rate is $119 per night. Reservations can be made by calling (502) 266-6509. To receive the group rate, identify yourself as a KCC participant. For more information about this hotel, click here. Cabin: Two cabins located at Cedar Ridge Camp in Louisville have been reserved. Each cabin has four bedrooms, a kitchen and living room. Each bedroom contains two to three bunk beds. The cost is $100 per bedroom. For more information, click here. You will need to call KCC to reserve these rooms. Reservations for these room must be made by September 18th, 2017. The office phone number is (859) 269-7715. The 69th Annual Assembly was held October 20th-21st, 2016 at Nazareth Retreat Center, Bardstown, KY.
Click here to see Jonathan Sands Wise's Prezi. Click here to see Jonathan Sands Wise's speech notes. Click here to see the Rev. Dr. Felicia Howell LaBoy's PowerPoint presentation "Charity and Justice: What Love Requires". The Rev. Dr. LaBoy is also Assistant Professor of Black Church Studies. An Elder in Full Connection with the Northern Illinois Conference of the United Methodist Church, LaBoy has 14 years of urban and multicultural pastoral ministry. Most recently, she served as the Assistant Professor of Evangelization in the Heisel Chair at United Theological Seminary. Her forth coming book “Table Matters: The Sacraments, Evangelism and Social Justice,” published by Wipf and Stock, will be released some time this year. Dr. Sands Wise was born and raised on a dairy farm in Harmony, Pa. roughly 30 minutes north of Pittsburgh, Dr. Sands Wise developed an appreciation for the value of manual labor which influenced his “agrarian” lifestyle/perspective. Dr. Sands Wise attended Houghton College. He considered seminary but chose to attend graduate school at Baylor University where he earned his master’s and Ph. D.
Friday’s activities include a delegate meeting, the second keynote speaker, panel discussion and benediction. The assembly will conclude at 12:45 p.m. Friday. For specific events and times, click here to download a PDF copy of our brochure. 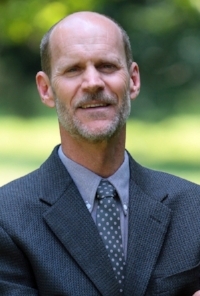 Scott Williamson: "Living Justly: Listening for How Our Lives Affect Others"
Scott Williamson is the Associate Academic Dean and Robert H. Walkup Professor of Theological Ethics at Louisville Presbyterian Theological Seminary. Talking circles are routinely used by restorative justice organizations to facilitate victim offender conferences, but they can also facilitate crucial conversations between dialogue partners who are not usually available to one another. This workshop describes how to use talking circles to promote meaningful dialogue about living justly, and provides participants with an opportunity to practice a dialogue round. Leah Wise writes on ethical style and living at stylewise-blog.com. She lives with her husband in Charlottesville, VA, where she manages an Episcopal thrift shop and works with her local justice ministry, She will discuss the theological mandate for seeking justice and what this might look like within the context of the marketplace. She will also explore a thoughtful approach to consumption and consumerism, discussing the fair trade model and sustainability considerations, and providing a basic approach to incorporating “conscious consumerism” into our daily lives. The Rev. Dr. McIntosh is the pastor of the Cleaves Memorial CME Church in Evansville, IN, an At-Large member of the KCC Executive Board and the chair of the Justice and Advocacy Committee. She will present information from The Justice and Advocacy Committee regarding the three policy statements that the Executive Board are recommending for adoption at this assembly. This workshop allows delegates the opportunity to review the statements, ask questions and receive clarification on them prior to the vote at Friday’s business session. Kevin Cosby and Joe Phelps: "Living Justly-Two Perspectives"
The Revs. Cosby and Phelps will discuss Living Justly from two different perspectives. The Rev. Dr. Kevin Cosby is the senior pastor of St. Stephen Church in Louisville, KY and president of Simmons College of Kentucky, also in Louisville. The Rev. Joe Phelps is the pastor of Highland Baptist Church in Louisville, KY.
Dr. Linda Strong-Leek is the Associate Vice-President for Academic Affairs; Professor of Women’s and Gender Studies and General Studies and she is the Interim Program Chair for Women’s and Gender Studies at Berea College. This workshop is on a topic very relevant to our society today. Dr. Strong-Leek will introduce the theme for the 2017 Annual Assembly. Left to right: Rachelle Starr, owner of Scarlet's Bakery in Louisville, KY; Rochelle Bayless, Founder & Executive Director of Grace's Cafe in Danville, KY; Rev. Thomas Hargis, pastor at Jubilee United Methodist Church in Cincinnati. Our panel discussion will revolve around practicing living justly with the food we purchase and prepare. Scott Williamson will moderate. Father Jon Rausch is a Glenmary priest, conducts a ministry in Appalachian justice education from his home in Stanton. Fr. Rausch is an activist in the Appalachian region, working against mountaintop removal. Lisa Zahalka is the pastor of both Trinity Baptist Church and Big Spring Bloomfield Presbyterian Church in Nelson County. She will deliver our Thursday devotion.